'My name is Lucas Soul. Today, I died again. This is my fifteenth death in the last four hundred and fifty years.' The Crovirs and the Bastians. Two races of immortals who have lived side by side with humans for millennia and been engaged in a bloody war since the very dawn of their existence. With the capacity to survive up to sixteen deaths, it was not until the late fourteenth century that they reached an uneasy truce, following a deadly plague that wiped out more than half of their numbers and made the majority of survivors infertile. Soul is an outcast of both immortal societies. Born of a Bastian mother and a Crovir father, a half breed whose very existence is abhorred by the two races, he spends the first three hundred and fifty years of his life being chased and killed by the Hunters. One fall night in Boston, the Hunt starts again, resulting in Soul's fifteenth death and triggering a chain of events that sends him on the run with Reid Hasley, a former US Marine and his human business partner of ten years. When a lead takes them to Washington DC and a biotechnology company with affiliations to the Crovirs, they cross the Atlantic to Europe, on the trail of a French scientist whose research seems intrinsically linked to the reason why the Hunters are after Soul again. 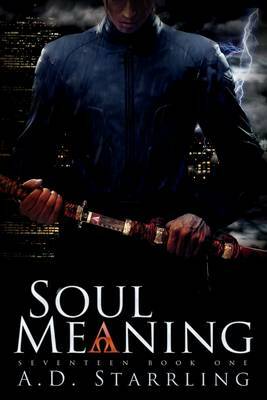 From Paris to Prague, their search for answers will lead them deep into the immortal societies and bring them face to face with someone from Soul's past. Shocking secrets are uncovered and fresh allies come to the fore as they attempt to put a stop to a new and terrifying threat to both immortals and humans. Time is running out for Soul. Can he get to the truth before his seventeenth death, protect the ones he loves and prevent another immortal war? Fantastic storyline that grips you from the first page. I would highly recommend this book and can't wait for the next! Fantastic storyline that grips you from the first page. I would highly recommend this book and look forward to the next!